Car is in my personal use, First Hand driven, well maintained with excellent condition. (Bumper to Bumper Genuine) Model 2012 - Purchase & registered in 2013. Original Denso AC fitted. Kenwood MP3 Player with Speakers installed. Central Locking. Demand is little negotiable. Serious Buyers may contact at 0303-444-3406 or Visit Monday - Friday: PCSIR Lab, Ferozepur Road, Lahore Saturday - Sunday: Guldasht Town, Zarrar Shaheed Road, Lahore Cantt. First hand, single hand driven family car. Well maintained & in genuine condition. All maintenance bills of Suzuki dealers are with it. It's petrol-only version. It has * anti-theft alarm with central locking, * Yokohama tires (good as new), * brake booster ( for good braking), * custom side mirrors & * Denso AC (great cooling). Lifetime token paid. Serious buyers only. Dear All..I am selling my Car...its really excellent buddy of mine... less driven...in very good condition Model 2005 SIlky silver colour showered from outside....inside total genuine 1)Petrol/CNG both giving very good mileage 2) Ac 3) Orignal file and book 4) life time token paid 5) New battery and tyre 6) Alloy rim 7) Security lock and good sound system 8) Engine 100 % working well and awsum suspension Not a single rupee work is required....just purchase and enjoy comfortable drive...its a gift..orignal pix are attached...Price is little negotiable but plz avoid foolish offerz....intrested one's can contact me anytime..Zeeshan 0321-4848510 ..sorry from dealers.. Excellent condition. Best engine. Very good fuel consumption. 100 km in Rs 400 cng.13km/lit petrol. Life time token. New tyres. Absolutely no problem in car. used by a doctor professor. Replaced genuine parts always. Anyone will be more than happy to buy this car. Bumper to bumper genuine. Single handedly used. Having sound system.with one year insureance. It is a well-maintained car.AC in working condition.Life time token paid.Price is negotiable. 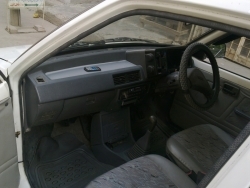 I am selling my well maintained & low used Mehran with following features: Its VX version car with factory fitted CNG. Bumper 2 Bumper Genuine & Total Genuine Paint Guarenteed. 100% Engine, Suspension & Tyres.Original documents, Lahore registered, First owner & Life time token paid. Non Accidental Leather Poshish AGS New Battery purchased 22-May-14 Dealers do not contact plz. Visit for Car: 349-H/3, Johar Town near Expo Center, Opposite CITY School Ravi Campus. The car is in very good condition. Genuine from bumper to bumper and has been involved in no major accident. Floor cover and sear covers installed. A/C and CNG. Price can b e negotiated. 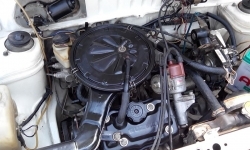 Suzuki Mehran Urgent Sale ! Genuine Engine (never opened) Non Accident. Lahore 3-digit number (original book with original file) 4 Stereo Speaker with 4-channel Amplifier Tubeless Tires (Company:General) life time Token clear Starts on First Surf (both CNG & Petrol) Just Buy and Start Driving. Note: please only serious buyers. i want to sell my car urgent. I would like to sell my car due to urgent need of cash. it has excellent condition. very economical in petrol and completly maintained car.